These are my own creations - and can be yours for just a buck! 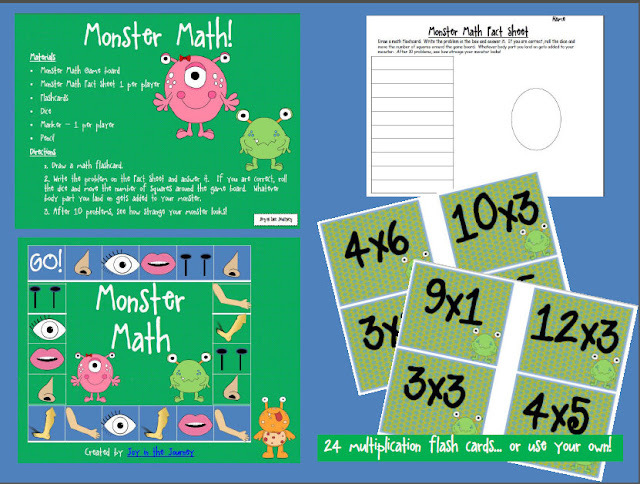 This FUN and ENGAGING packet includes a game board with monster "body parts" drawn on it. As students answer math fact questions, they roll a dice and add a "body part" to their drawing of a "monster" on their tracking sheet. 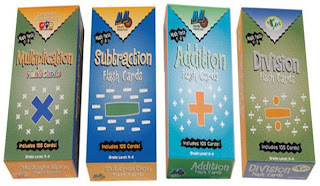 24 multiplication flash cards are included - however, you can use any flash cards to accompany this game. 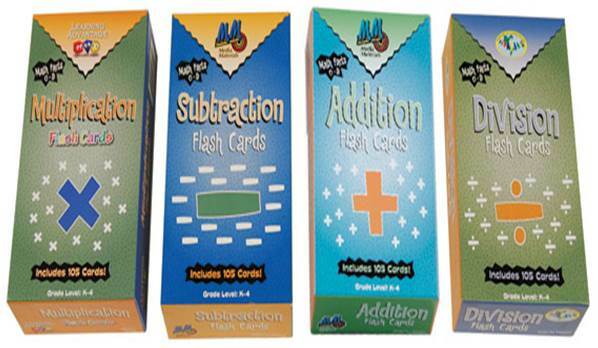 Looking for other math card games? 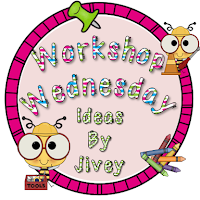 Head on over to "Ideas by Jivey" for her Wednesday Workshop linky. 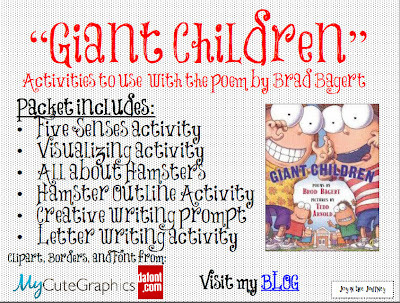 "Giant Children" is a poem told form the perspective of a classroom hamster talking about gigantic children in the classroom. I LOVE LOVE LOVE this poem - so much that I created 5 activities to accompany a study of this poem. 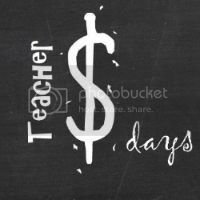 Snag it for $1 - your students will thank-you for it! Fun bug die cuts - "We're BUGGY About Reading"
I LOVE finding these sets - I use them as center games. I write word pairs on them, laminate them, and set up an activity center. The milk and cookies are going to be synonym pairs and the key and locks are going to be rhyming words. I do random desk inspections when the "Desk Fairy" checks for clean, neat desks (with NO loose papers in them! <---that's the kicker!). If she is happy with the desk, she leaves a "wand" (Pixy Stix) for them to enjoy. More baskets for my classroom library - I always pick up a couple each time I go. The small, yellow ones are for chapter books and the white ones are for picture books. Synonym cards - SO easy: just cut, laminate, and play! 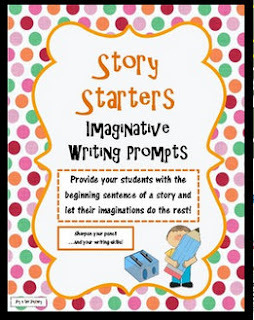 I also use these for sight words for my struggling readers. I love buying calendars for $1 - I rip them apart and use the pages as journal prompts. This calendar will be awesome for fantasy writing. I love the Dollar Tree's poster packs. This one included two graphic organizer charts. I plan to use them with my reading groups. And last, but not least, these are beautiful bird cling decals - and I don't think you can see the price tag, but if you could you would see that I paid a whopping $0.06 for them!!! What a steal! And speaking of steals, I am offering a FLASH FREEBIE on my new Facebook page from NOW until midnight. Click here to "like me" and check out the FREEBIE!